We know how hard it is to sell ourselves at times, and have someone else see our worth. We have all come across clients or leads that have said these words to us, well let’s refute some right now! Busted: You benefit from our buying power. This saves you money on everything from site selection, to rentals, to other services. Furthermore, you gain savings through expert negotiation in other areas of the contract. We can negotiate contractual clauses and the best price in an effective timeline. Busted: Your experience coupled with our professional skill set and top knowledge of industry trends and contract issues will make us a dynamic team. We answer the calls that you don’t have time to answer. We work on your behalf. We will scour each and every detail and contract to ensure you are getting exactly what you want, and that no details are forgotten. Myth: I have everything organized, so the day of the event will be smooth sailing, I don’t need a planner there. 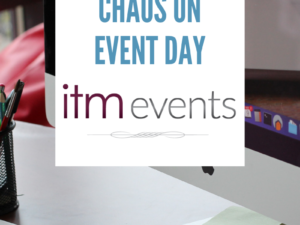 Busted: We will manage the event onsite so you can be a guest, not worry about logistics and instead greet and engage with your attendees. 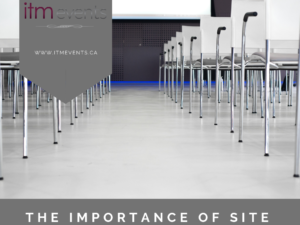 Do you want to be pulled away from an important business discussion to deal with extra seating, or a microphone that is not working? You need planner management onsite, so you are not “that person”. Busted: You may be a small business, but that doe not mean that the return on investment to you hosting staff retreats, sales meetings and training or even a client appreciation event to a larger client base will be beneficial to your company and growth. 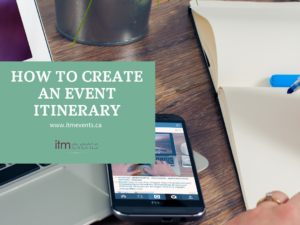 Event Planners can produce an event of any size and scope, identifying vision and success metrics, building timelines and managing the budget. 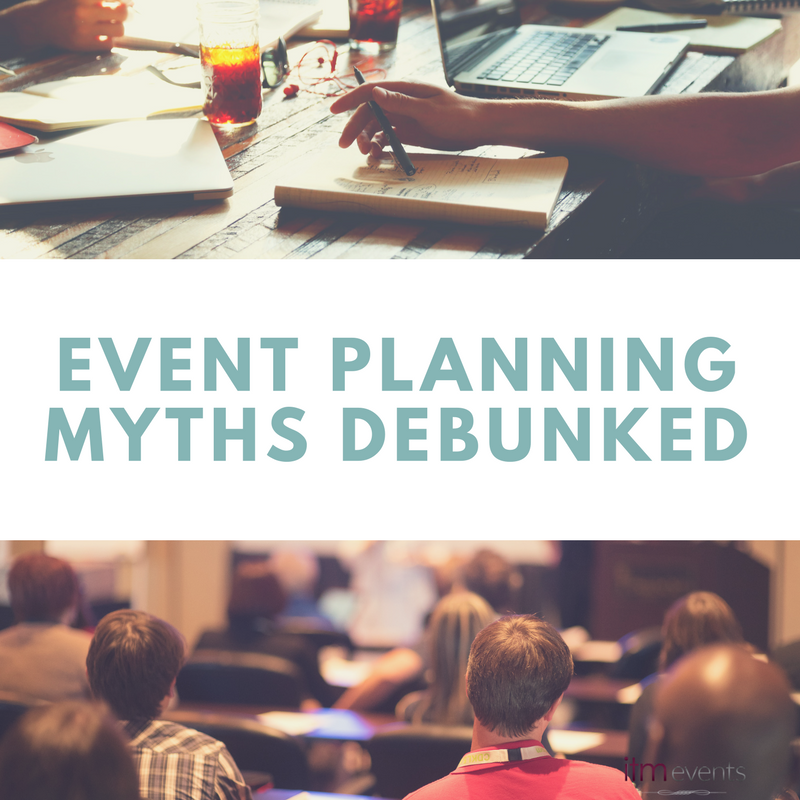 Myth: Being and event planner is glamourous, you go to parties all the time! Busted: Um not so much, sure the party planners like Colin Cowie of Oprah party planning fame created a brand that looks pretty glamourous. It is easy to share images of pretty, fun, energizing. But that is not the reality of a systems oriented event producer. 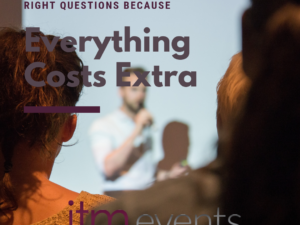 Large or small our focus is client driven, the goals and objectives of your event and its return to you. Our job consists of hours of administrative work like building metrics, audience analysis, content mapping, logistics, communication plans, registration systems, and hours onsite before anyone else arrives and long after they leave, as well as the followup reports. Angela VanWingerden is a focused logistics dynamo with nearly 20 years of experience in the events industry. Since obtaining her BA of Commerce in Hospitality from the University of Guelph in 1998, she has built an impressive portfolio of weddings, corporate events and fundraisers for hundreds of satisfied clients. Angela enjoys the entire event planning process from chaos to order and back again. An avid trouble-shooter, Angela has her finger on the pulse of every event she manages. When on-site, she constantly monitors every element of the event to ensure client satisfaction. Angela works closely with staff and volunteers to ensure that they know what their duties are and she provides oversight at the event itself to ensure that all responsibilities and expectations are met. When she isn’t designing and coordinating awe-inspiring events, Angela loves spending time with her family.